Note: A minimum quantity of 480 must be ordered, and in units of 12 thereafter. 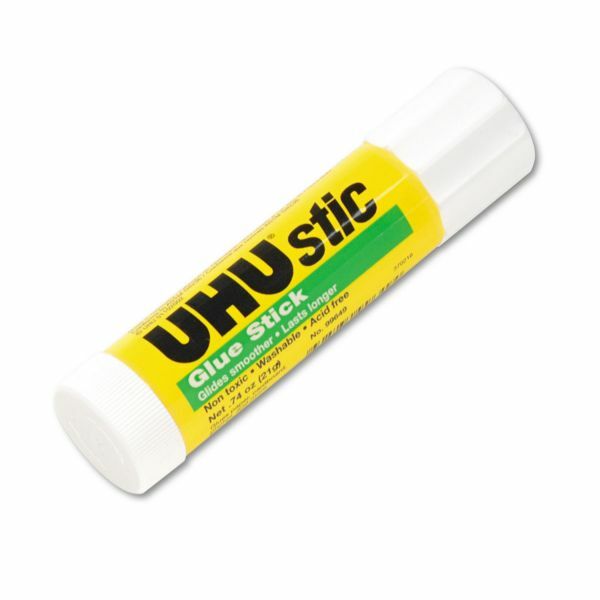 UHU Stic Permanent Clear Application Glue Stick, .74 oz - Rub-on adhesive in glue stick works without wrinkling paper, cardboard, photos or fabric. Lipstick-type applicator twists up for use and retracts for no-mess storage. Washable adhesive is acid-free, odor-free and photo-safe. ACMI certified glue conforms to ASTM D-4236.